Skylar, Coohills’ bar manager and liquor and beer director, is originally from Estes Park and joined the team in 2016. He takes advantage of Colorado's camping and fishing as much as possible, and plans to visit Hawaii next year. 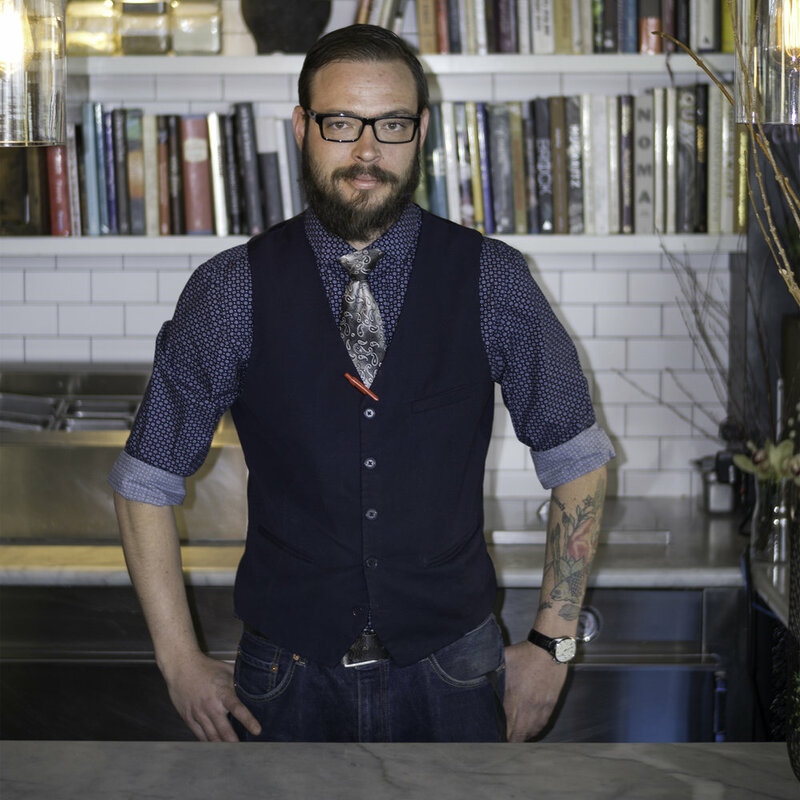 His favorite Coohills cocktail is the Aspen—he says it strikes a beautiful balance between achieving an innovative style and respecting the past. Before starting at Coohills as the pastry chef four years ago, Nikki studied at Johnson and Wales University for baking, pastry and food service management. She’s competed in the Denver Chocolate Festival and won three years in a row, and plans to compete again next year. She'll also work at Aspen Food and Wine and Telluride Food and Wine. She likes to maximize the easy mountain access in Colorado, and loves to garden when she’s at home. Jeremy is an East Lansing, Michigan, native with an extensive background in hospitality. He studied sustainable tourism with a focus on hospitality business at Michigan State University before starting in the restaurant business a decade ago. He joined the Coohills team as the Sommelier and Wine Director in 2018. In his role, Jeremy is the steward of all in-house wines and makes wine suggestions for guests in order to heighten their dining experience. His go-to menu recommendation is the light and fresh crab cake, best paired with one of Coohills' many chardonnays. While his focus is wine, Jeremy is a classically trained pianist with a love of Chopin and proficiency in a slew of other instruments.